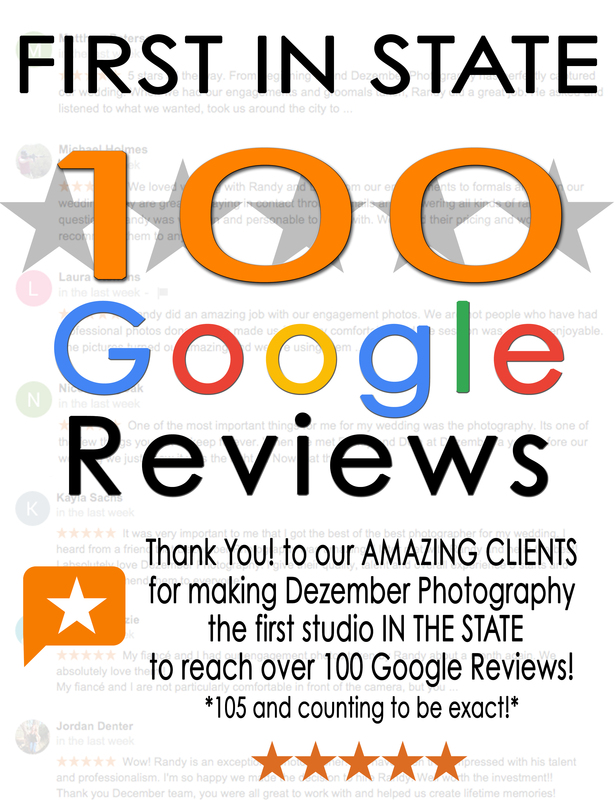 We couldn’t be more thrilled to announce Dezember Photography is the FIRST studio IN STATE to reach over 100 Google Reviews! A huge thank you to our amazing clients for making it happen! We are honored that so many of you have shared your experience with us, and most importantly to other potential clients. Thank you! And remember to follow us on Facebook!